Running up Calloway is my favorite “run,” with “run” definitely in quotation marks because if I can average around 18 minute miles, I’m pretty happy. 🙂 Whenever we are in the Boone area, I try to hit this trail. In fact, one year I summited Calloway 12 tiimes! When I heard Tanawah Adventures somehow got a permit to hold a trail race here, I was astounded. But excited! 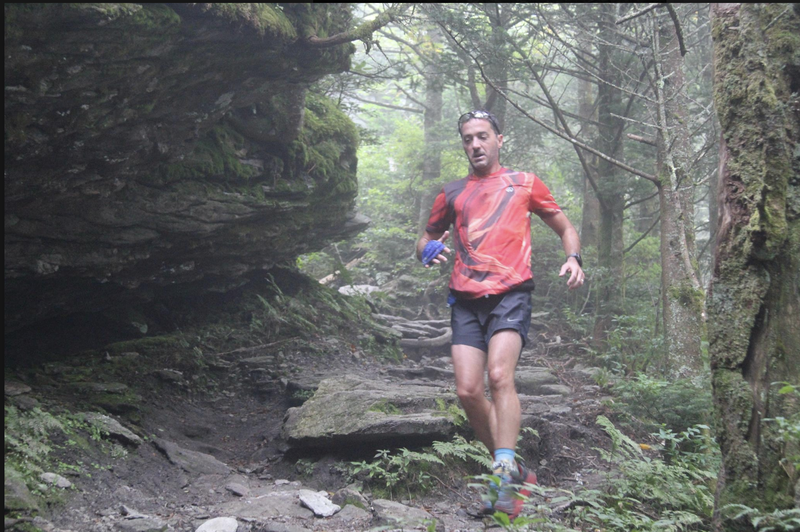 The race would be The Profile Trail to the summit of Calloway Peak, then down the back side using a combination of Daniel Boone, Nuwati, and Cragway, then back to the top, and back down. A total of nearly 15 miles and 4500′ of climb and descent. It would be my 1st race since the ankle injury back in May. 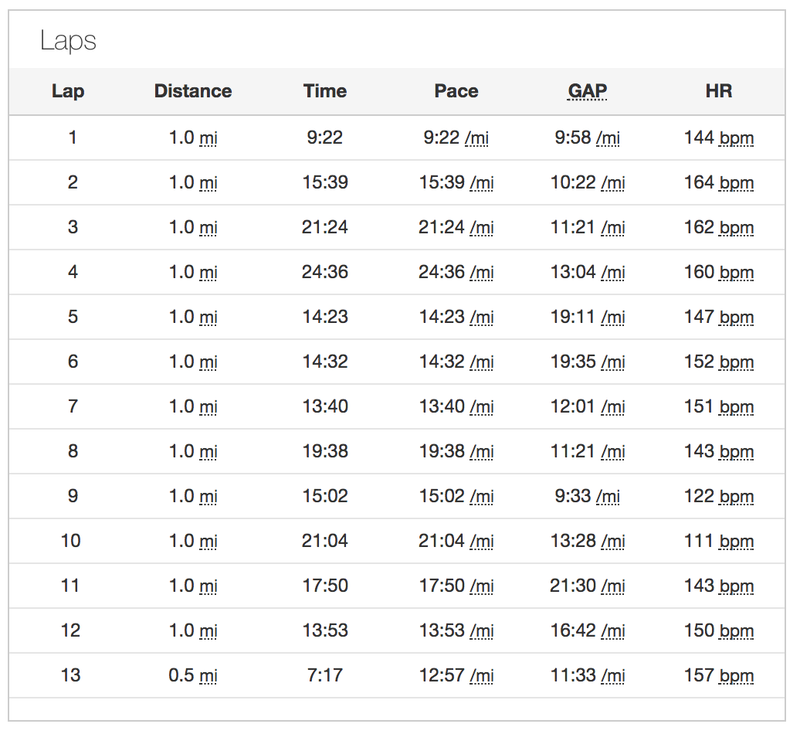 I had previewed the course three weeks prior and came in at 3 hrs 53 minutes (definitely trying not to push too hard). I thought anything under that would be good, as I thought my preview might not have been the full course. Turns out race day would stop at the old trail head, about a half mile short of the new one, but would also start about a third of a mile further from the new trail head, so nearly a wash. The first thing that surprised me was that we’d be starting in 3 waves, with your bib number being assigned based on your ultra sign up ranking. I came in at 57 out of 150 runners, so did not make the 1st wave! That told me the level of runner in this race was going t o be up there. And instantly out of the gate people were flying towards the trail. I wanted to get towards the front of my wave and pass a few of those in the 1st wave, as once you hit the single track and climbs, passing would be a lot of work. Here I am coming down the backside. Pictures never do justice to the steepness — but trust me this is steep! 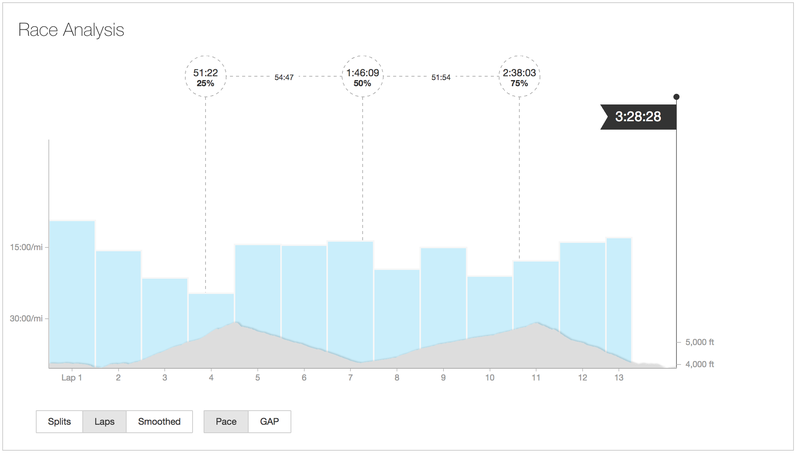 And Strava race analysis — a little faster on the 2nd half, but I think the climb is a little easier on the backside.